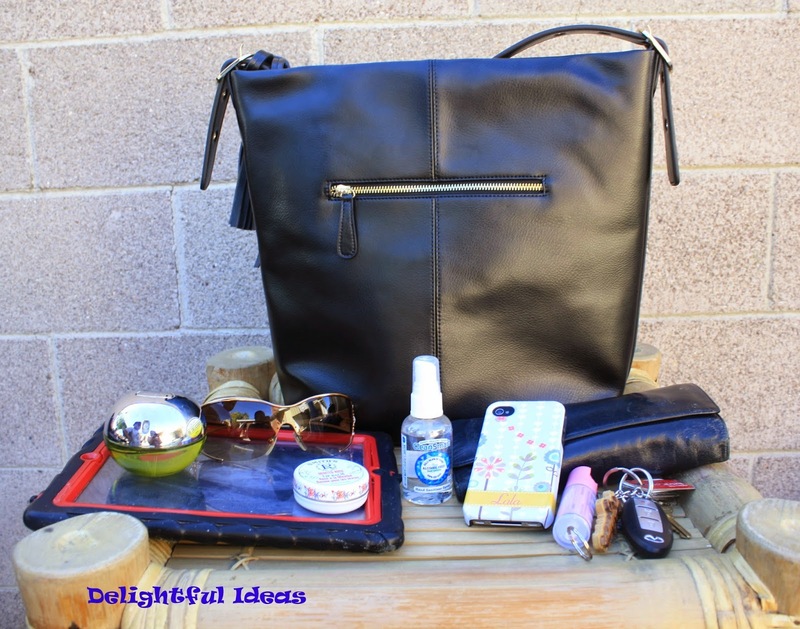 Delightful Ideas By lala: What's in my bag? 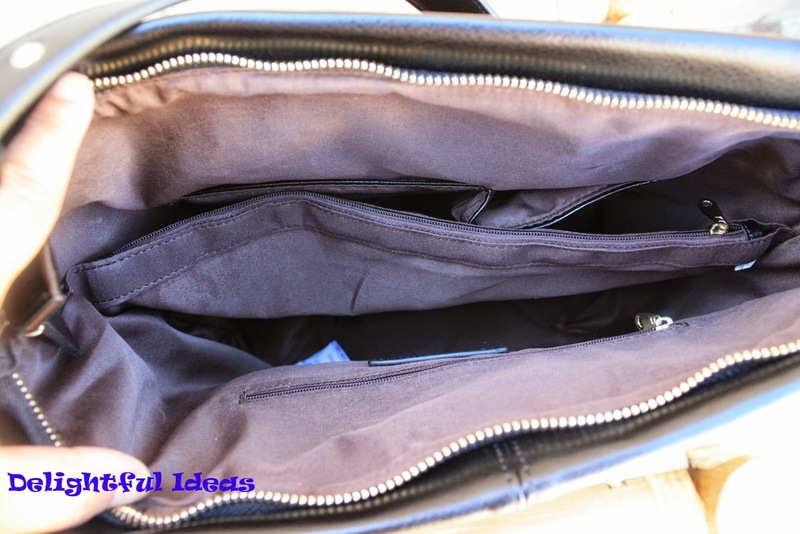 Disclosure: I received a free sample of the Olivia Tote bag to facilitate this review. However, all opinion are 100% my own. No other compensation was received. Now that I'm back working, I always make sure that I balance my family life, my business and my work. I plan ahead and work side by side with my husband to achieve this. And of course equipped myself with accessories that would help me with my day to day needs. I'm always on the go and take my work with me. I always wanted a large bag, big enough where I can put my Macbook Air or Ipad with me. I love that I can do this with my Olivia Tote Bag by Donna Bella Designs. I love the storage capacity, quality of material and workmanship. I love the practical style. To me simple is sophisticated. I take this cute purse with me everywhere I go, Even when I take my kids out. It has enough room for diapers and wipes so I don't have to take 2 bags with me. I also love the outer pocket, coz it gives me access to things I use a lot like keys and celphone. 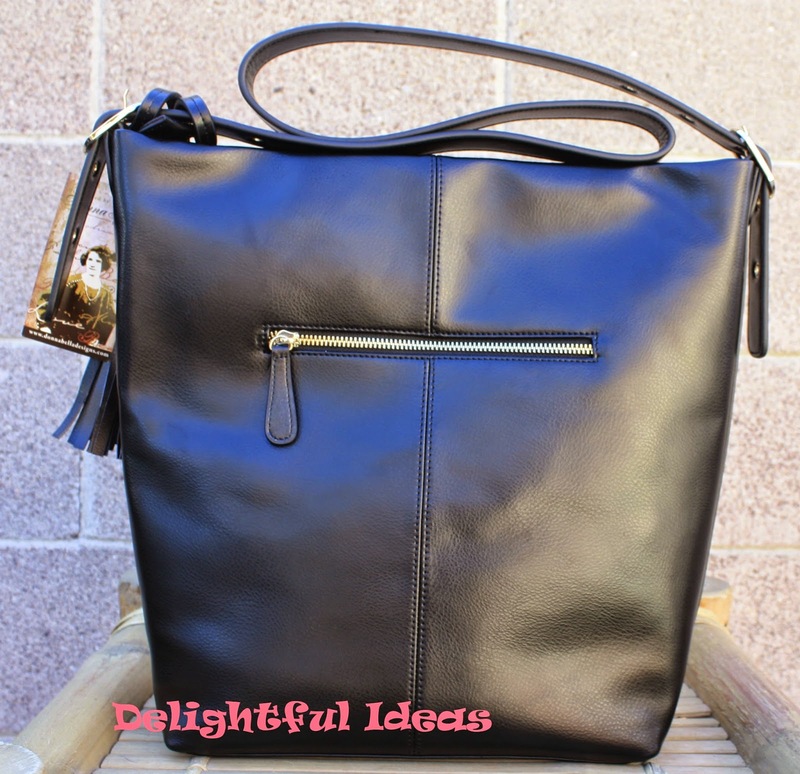 Overall, I give this bag 2 thumbs up for the design and functionality! I truly love it! Please don't forget to click on the banner below. This will register a vote for my blog. Thank you so much for all your support!